Palestinian prisoner Sami al-Janazra, 43, has entered the 67th day of his hunger strike in the isolation section of Ela prison, according to the Palestinian Prisoner Society on Sunday. Janazra started his hunger strike on the third of March after he received an extension to his administrative detention. During the days of his hunger strike, the Israeli jailers transferred him from Negev prison to several jails, where he suffered, during one of those transfers, a head injury after he fell unconscious on the ground. The lawyer who visited him many times affirmed that Janazra suffers from serious health problems as well as physical weakness and fatigue as a result of his prolonged hunger strike. The prisoner is from al-Fawwar refugee camp in al-Khalil city and married with three children. He was arrested on November 15, 2015. Captive Mansour Mouqadeh is adamant on his partial hunger strike, although his body is already weak because of his wounds and illnesses, in protest at medical neglect he and his fellow sick prisoners face in the Ramle prison hospital, and to demand their freedom to spend the rest of their lives with their families. Since the beginning of Mouqadeh's hunger strike on the tenth of April, he only takes fluids and essential medicines, what makes his life in real danger. By his strike, Mouqadeh tries to draw attention to the prisoners of critical medical conditions threatening their lives with death at every moment. Prisoner Mouqadeh is one of the most serious medical cases in the prisons of the occupation. 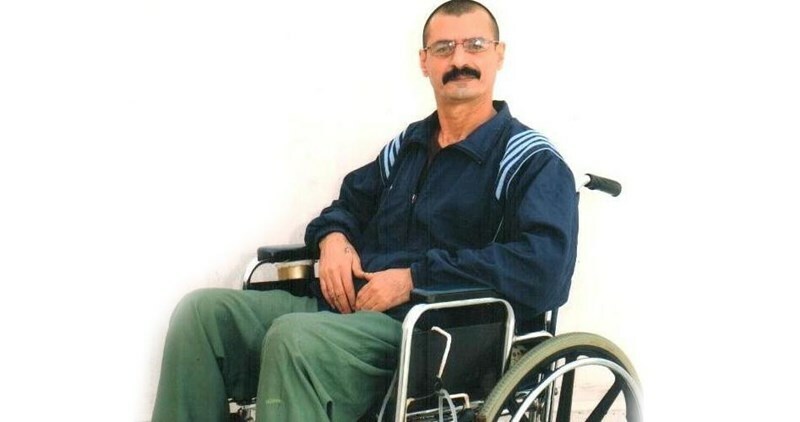 He is languishing permanently in Ramle prison hospital for the past 14 years, as he suffers from hemiplegia and uses a wheelchair to move, with colostomy bags attached to his belly all the time. Mouqadeh, 47, who hails from Azzawyeh near Salfit, has been detained since July 2002 and sentenced to life imprisonment, because of his alleged role in the killing of a settler during the Aqsa Intifada. Nimr, Mansour's brother, told the PIC reporter that Mansour survived assassination during his arrest, as there has been a decision to kill him in cold blood but "after being shot by the Israeli special forces, the soldiers found his brother's identity card with him, his brother looks so much like him so they thought that it's the wrong person and did not finish him off". So Mouqadeh remains alive, but his life is not like any other life, where injury and illness accompany him in Ramle prison hospital, which is described as "a graveyard for the living". Mouqadeh was shot during his arrest by five bullets in the spine, lower abdomen and feet, causing him hemiplegia, and damage to the stomach and internal organs, he underwent five complex surgical operations, where his bowel, bladder and a large part of the stomach were removed, and replaced by plastic bowel and stomach, and colostomy bags continuously attached to his belly, in addition to that, during the years of arrest he began to suffer from weakness in his sight and his teeth started to fall. He also suffers from seizures and suffocation sometimes which lead to loss of consciousness. As a result he was transferred more than once to hospital outside the prison and sometimes he was given special injections to regain consciousness. His brother, who visited him some time ago, describes him as "a dead body, with only his tongue and spirit alive", and asserted that his brother always declare his wish for martyrdom. Despite all that, he enjoys high spirits. His brother quoted him as saying during one of the visits: "bullets destroyed everything in my body, but they did not destroy my self-esteem and pride." 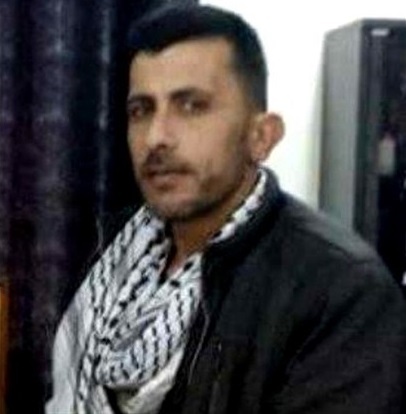 Mansour added to his brother: "to withstand life in the prisons you have to have strong and high spirits like iron, and you must be patient, with that you can be stronger than the occupation." The difficult health condition of Mouqadeh made him expect martyrdom at any moment, so he sent a letter to his family several months ago; it was more like a commandment of a martyr and a farewell letter to them. His wife told the PIC reporter: "he asked me to take care of our four children and expressed his appreciation for my being patient through our dilemma, he said that "we may not see each other in the next visit. I felt that he is saying goodbye. " She added: "All he wishes for is to be released, and live even for one day between us, and to die among us." His brother Nimr described Ramleh prison as a graveyard for the living, referring to the medical negligence and health conditions that are not suitable even for animals, warning that this hospital is used as a testing ground and a field for training new doctors. He wonders "for how long these prisoners will remain in detention? Is the occupation waiting until they are dead to release them?" He believes that everyone, without exception, are failing sick prisoners, and that his brother's hunger strike is also a protest message on the political neglect and lack of legal action at the international level to save the lives of sick prisoners who face death. In its turn, the Committee of Prisoner's Affairs sees that the captive Mouqadeh's hunger strike as highlighting the serious health condition which affects more than 1,500 Palestinian prisoners in Israeli jails, 30 of whom have cancers and tumors, and 85 of whom are suffering paralysis, disability and bullet wounds. The Committee called for a political and international intervention for the release of the prisoners with serious health conditions, and not to neglect them until they die in the prisons of the occupation. Palestinian human rights activists launched a campaign in solidarity with the Palestinian captive Mansour Moqedeh , from Salfit, who has been on hunger strike for 27 days in a row. Head of detainees and ex-detainees committee in Salfit, Nathir al-Selkhi, on Saturday told Quds Press that prisoner Moqedeh, 46, has stopped taking medications for a week as well. This exposes his life to danger in light of his need for taking medications non-stop, he highlighted. Selkhi revealed that the campaign will be officially launched on Sunday during a press conference which is to be held in the captive’s home in al-Zawiya village near Salfit. Representatives of official and human rights authorities as well as factions will attend the solidarity event. Detainee Moqedeh is languishing in al-Ramleh prison clinic. He has four children and has been detained for 14 years serving a life imprisonment sentence. An Israeli court last year sentenced him to 30 years behind bars. 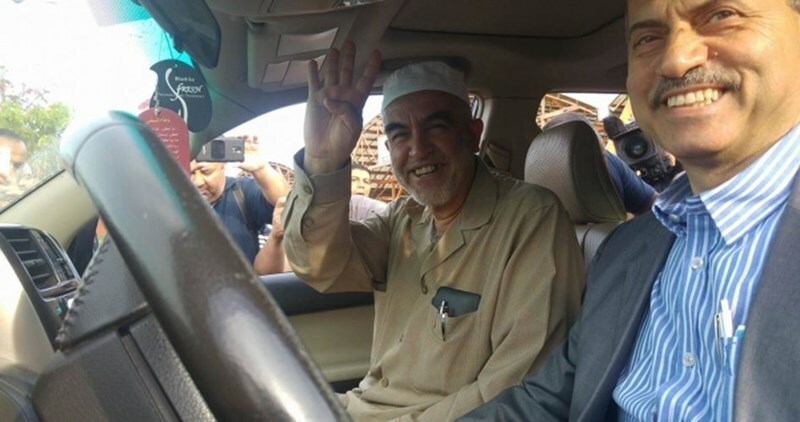 Sheikh Ra'ed Salah, head of the Islamic Movement in the 1948 occupied lands, on Sunday morning left his home in Umm al-Fahm city and went in a massive convoy of vehicles to Ohalei Kedar jail in Beersheba. Sheikh Salah went to the prison to start serving a nine-month prison term on allegations of inciting violence and hatred in a sermon he had delivered in 2007 in the Old City of Jerusalem. Hundreds of Palestinian citizens turned out in the morning to show their support for Sheikh Salah, among them Arab Knesset members. In a tent already erected in Umm al-Fahm for the support of the banned Islamic Movement, Sheikh Salah expressed his thanks to all attendees for coming to see him before he going to jail, and described the time he would spend in jail as a "period of seclusion and worship." "It is an honor for me and the nation to go to jail for the sake of the Aqsa Mosque and Jerusalem. I am going to be in prison by the will of Allah and not by the will of Netanyahu," he told the attendees. Turkish activists organized on Sunday a sit-in outside the Israeli consulate in Istanbul protesting against Israeli detention of Sheikh Raed Salah, head of the northern branch of the Islamic Movement within the Green Line. The participants held photos of Sheikh Salah and banners calling for his release. During the sit-in, head of the International Youth Association Erkan Halwaje said that Sheikh Salah’s arrest is an Israeli political decision par excellence, calling for his release. He also called for an end to Israel’s military occupation of Palestinian holy lands and al-Aqsa Mosque. Sheikh Raed Salah, leader of the Islamic Movement in Israel’s northern branch, began a nine-month jail term on Sunday after being convicted by an Israeli court for "incitement". The charge on which Salah was convicted dates back to a sermon he delivered in 2007 in which he demanded an end to the Israeli occupation of Jerusalem’s Al-Aqsa Mosque and vowed to give his life in defense of Islam's third holiest site. Studies and documentation unit at detainees and ex-detainees committee in Gaza Strip revealed that the Israeli Occupation Forces (IOF) arrested 5,677 Palestinians since October, 01, 2015 until the end of April this year. Abdunnaser Farwana, head of the unit, said that the Israeli arrests included males and females of different ages including 3,508 cases in the West Bank, 1,872 in Occupied Jerusalem, 169 in 1948 Occupied Palestine and 128 in Gaza Strip. Farwana called on the international community to provide international protection for the Palestinian captives and to put an end to the Israeli daily arrests and aggressive practices against detainees, which run contrary to the international law. Updated: Israeli soldiers kidnapped, late on Saturday at night and earlier on Sunday at dawn, at least seven Palestinians from the West Bank districts of Ramallah, Bethlehem, Hebron and Tulkarem. The soldiers, stationed at military roadblock #300, at the northern entrance of Bethlehem, stopped a Palestinian car, and kidnapped Morad Mustafa Hammad, 24, who was heading back home from Jerusalem. Hammad, 23, is from the ‘Aida refugee camp, north of Bethlehem; he cuffed and blindfolded before the soldiers took him to a detention center for interrogation. The soldiers also invaded Teqoua’ town, east of Bethlehem, and summoned Omar Taleb al-Badan, 28, for interrogation in the Gush Etzion military base, south of Bethlehem. The soldiers also searched his property, causing damage. In related news, the soldiers broke into a number of homes, in the southern West Bank city of Hebron, and kidnapped Mo’tasem and his brother Saqer Mustafa al-Qawasmi. 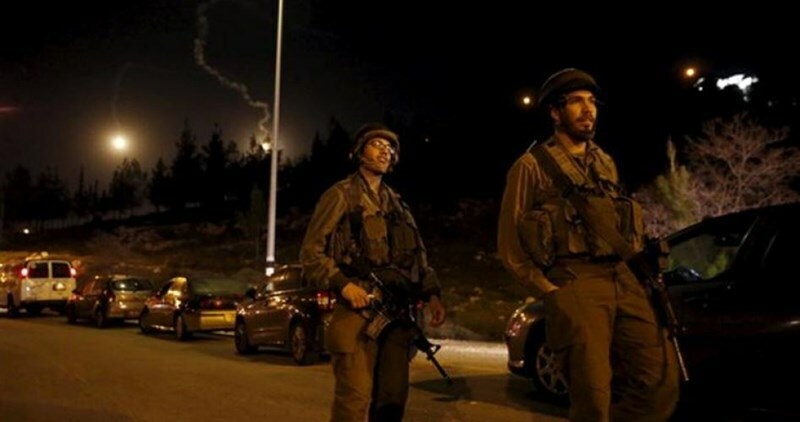 In the central West Bank district of Ramallah, the soldiers invaded and searched several homes, interrogated many Palestinians, and kidnapped three, identified as Omar Abdul-Qader Hijaz, 21, his brother Hisham Abdul-Qader Hijaz, 24, and Khaled Tawfiq Ibrahim, 32. 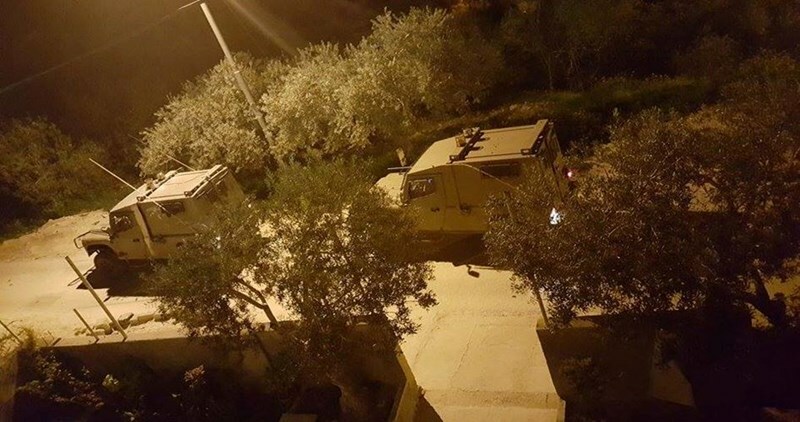 In the northern West bank district of Tulkarem, several army jeeps invaded ‘Atteel town, north of Tulkarem city, and kidnapped Mahmoud Rateb Abu Salem, 37, after violently searching his home. Israeli soldiers kidnapped earlier on Sunday at dawn, four Palestinians from the West Bank districts of Bethlehem, Hebron and Tulkarem, and searched several homes. In addition, the soldiers invaded Teqoua’ town, east of Bethlehem, and summoned Omar Taleb al-Badan, 28, for interrogation at the Gush Etzion military base, south of Bethlehem. The soldiers also searched his property, causing damage. In related news, the soldiers broke into a number of homes, in the southern West Bank city of Hebron, and kidnapped Mo’tasem and Saqer Mustafa al-Qawasmi. The Israeli occupation forces (IOF) on Saturday evening kidnapped 11 Palestinian workers and a female university student in a mass abduction sweep launched across 1948 Occupied Palestine. 11 West Bankers were kidnapped by the IOF from 1948 Occupied Palestine on account that they do not have entry permits. The Israeli radio said the IOF further arrested the driver who was accompanying the workers. The driver is reportedly a native of Occupied Jerusalem. 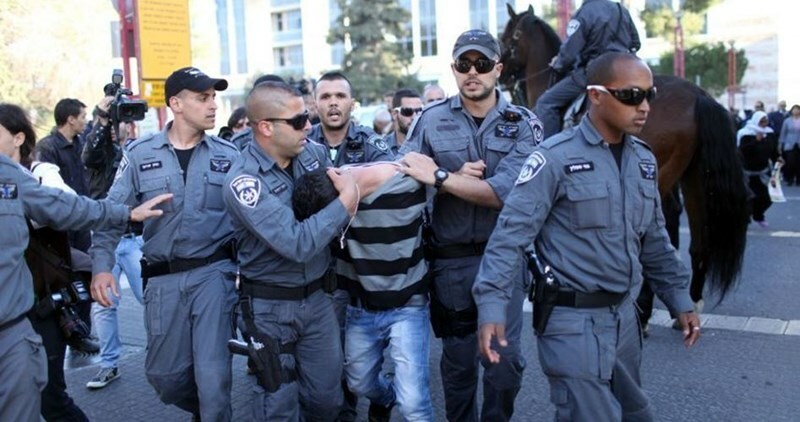 The IOF dragged the detainees to Israeli investigation centers pending further questioning. In a related context, the 21-year-old Palestinian young woman Sujoud al-Refai, enrolled at the Quds Open University, was kidnapped by the IOF at the Atara military checkpoint, to the east of Ramallah, while on her way back home. Eyewitness accounts reported that Sujoud was subjected to heavy beating by the occupation soldiers moments before the abduction. 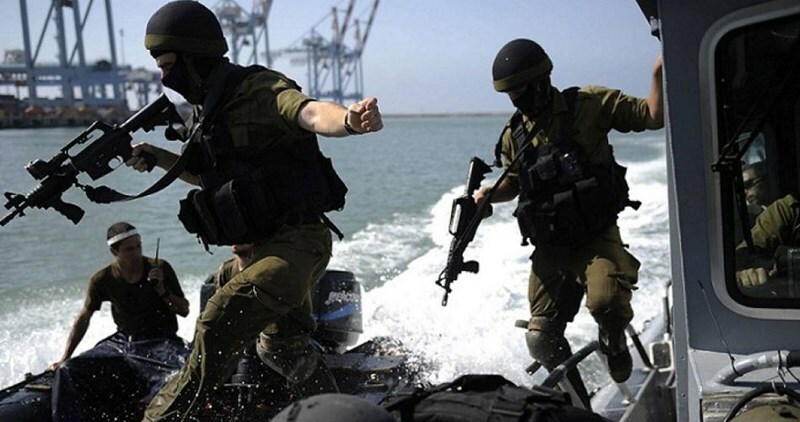 The Israeli occupation navy on Saturday evening kidnapped two Palestinian fishermen as they were working off the coast of Beit Lahiya, north of the Gaza Strip. Chief of the fishermen Nizar Ayyash told the Palestinian Information Center (PIC) that Israeli naval forces kidnapped Oranes and Mohamed Sultan after intercepting their rowboat off the shore of Beit Lahiya. Ayyash added that the two men were very close to the shore in their small fishing boat when they were rounded up. According to a local committee documenting Israel's violations against Gaza fishermen, the Israeli navy on Friday evening intensified their presence off the coast of Gaza City. Gunboats also opened machinegun fire that day at fishing boats working within the permitted fishing zone and caused damage to one of them. Palestinian prisoner Sami al-Janazra, 43, is still determined to continue his hunger strike, which he started 66 days ago, in protest at his administrative detention. Janazra started his hunger strike after his jailers extended his administrative detention for the second time. Following his hunger strike, he was transferred to several prisons and recently to Ela jail. He has recently suffered from health problems, including seizures and blackouts. Israeli soldiers kidnapped, Friday, two young Palestinian men from Ya’bad town, southwest of the northern West Bank city of Jenin. The soldiers also detained four Palestinian in Marj Ben Amer Meadows, and threatened to kill them. Media source in Jenin said several Israeli army vehicles invaded Ya’bad town, and drove around in various streets and neighborhoods, while conducting provocative acts. The sources added that the soldiers also invaded and ransacked several homes, and kidnapped two Palestinians, identified as Ahmad Soury Herzallah, 20, and Naseem Mustafa Bilal, 19. In related news, the soldiers detained four Palestinians from Sielet al-Harethiyya, west of the northern West Bank city of Jenin, while picnicking in Marj Ben Amer Meadow area, west of Jenin. Resident Yahya Abdul-Halim Khalil, 19, told the WAFA Palestinian News Agency said the soldiers detained him, and three of his friends, while picnicking in the area, and threatened to kill them should they return. 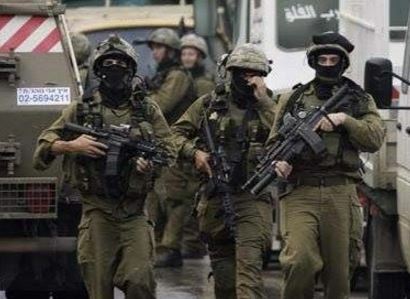 Several Israeli army vehicles invaded, Friday, the Naqqar neighborhood, west of the northern West Bank city of Qalqilia, injured one Palestinian and kidnapped another. Media sources in Qalqilia said the soldiers attacked many Palestinians, interrogated many of them, and kidnapped a man, identified as Mohammad Abdul-Latif J’eidi. The soldiers also fired many live rounds, rubber-coated steel bullets and gas bombs, causing scores of residents to suffer the effects of tear gas inhalation. 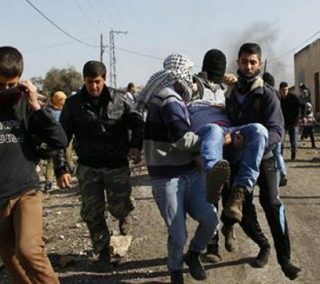 One Palestinian, in his twenties, was shot with a rubber-coated steel bullet, suffering a moderate injury, before he was moved to Dr. Darweesh Nazzal Hospital, in Qalqilia. 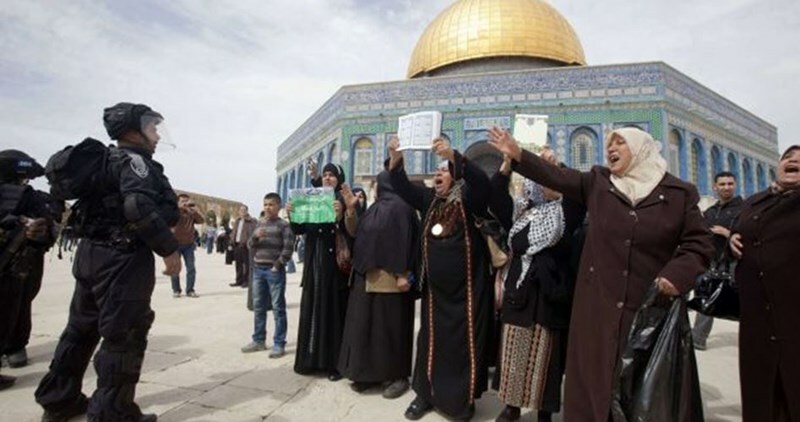 The Israeli occupation police on Friday banished the wife of a Jerusalemite prisoner from the holy city at the pretext of illegal residency. The Wadi Hilweh Information Center stated that the Israeli police deported 36-year-old Rania al-Abbasi from Jerusalem on allegations that she had a Palestinian ID and not one issued by the Israeli authorities. The center added that Abbasi was kidnapped on Thursday evening from her husband's home in Ras al-Amud neighborhood and held for several hours at the Israeli police center in Salahuddin street before she was expelled out of the city through al-Zeituna checkpoint. Her husband, Alaa al-Abbasi, has been in jail since 2002 serving a 66-year prison term. In a separate incident, Israeli policemen arrested on the same day 24-year-old Ahmed Qambaz during his presence inside the Aqsa Mosque and took him to a nearby police center. Earlier, a 17-year-old girl was kidnapped from her home in Attur neighborhood, east of Jerusalem, on a charge of inciting to violence on her Facebook page. The popular campaign in solidarity with the imprisoned Palestinian MP Marwan al-Barghouti slammed the mistreatment the latter has been subjected to in the Israeli Hadarim jail. The campaign said in a statement that the Israeli oppressive measures against al-Barghouti will neither dampen his spirits nor suppress the echoes of his anti-occupation voice. Over recent years, Israeli prison guards repeatedly stormed the prison cell where al-Barghouti and his two fellows, Majd Zeyadeh and Ahmad al-Barghouti, are held. The campaign added that an Israeli unit stormed on May 4 a cell for collective isolation in the Hadarim jail for the second time in a month. The prison guards seized books, files, and personal belongings from the Palestinian prison cell. 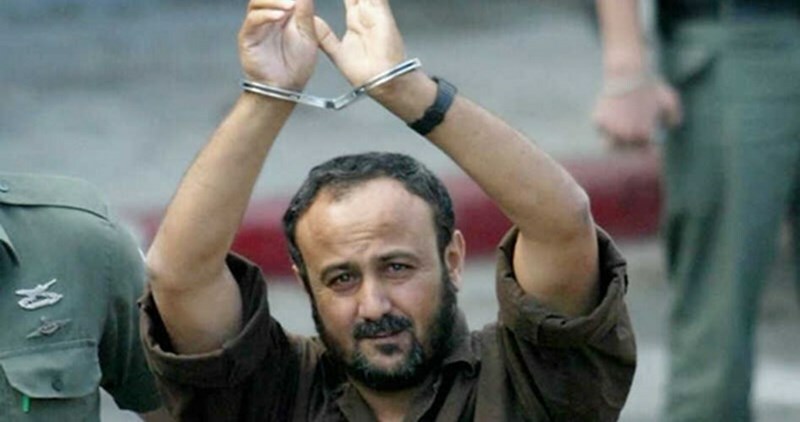 Prisoner al-Barghouti was arrested by the Israeli occupation forces from his own family home in Ramallah in 2002. He is currently serving five life sentences on allegation of involvement in an anti-occupation attacks. The Israeli Occupation Forces (IOF) arrested Friday morning a Palestinian young man near the Ibrahimi Mosque in al-Khalil after allegedly finding a knife in his possession. 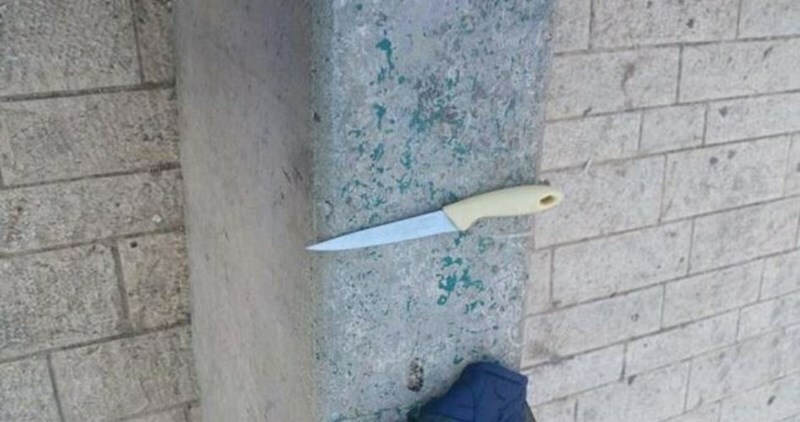 The Israeli 0404 website said that a 26-year-old Palestinian was arrested near the Ibrahimi Mosque for having a knife in his possession. More than 200 Palestinians were killed by Israeli soldiers since the outbreak of the Jerusalem Intifada on October 1, 2015 raising international concerns over the excessive, even extreme, use of force against Palestinian protesters. Israeli forces have carried out a series of unlawful killings of Palestinians using intentional lethal force without justification, said Amnesty International, based on the findings of a research trip to the West Bank, including East Jerusalem. Israeli forces carried out overnight raids on Thursday, detaining at least 12 Palestinians across the occupied Palestinian territory, Palestinian and Israeli sources said. Local sources told Ma’an that raids were carried out in the village of al-Mazraa al-Sharqiya northeast of Ramallah, detaining three Palestinians identified as Hashim and Omar Abd al-Qadr Hijaz, and Khalid Tawfic Saad. Israeli forces also raided the home of Muhammad Abd al-Nasir Hammad, 17, in the town of Silwad northeast of Ramallah, and summoned him to meet with Israeli intelligence. Israeli forces detained Amir al-Turabi and Zakariya al-Turabi from Sura village west of Nablus, according to Palestinian security sources, both of whom had previously spent more than 10 years in Israeli prison. Further to the north, Israeli forces detained Alaa Ahmad Jabarin from the village of al-Taybeh, west of Jenin. Meanwhile, two Palestinians, Wadi Qassas and Amro Hadush from al-Arroub refugee camp, were detained in the north of Hebron in the southern occupied West Bank. Palestinian security sources said a raid was also carried out on Silwan village in occupied East Jerusalem where Israeli forces detained a 36-year-old woman, Rania al-Abbasi, whose husband is currently being held in Israeli prison. An Israeli army spokesperson told Ma’an that an additional two Palestinians were detained in Bethlehem and one in Tulkarem. Palestinian sources did not provide details on the cases. Four of those detained overnight are facing allegations of being Hamas operatives, while the rest were detained for suspected “illegal activities,” an Israeli army spokesperson said. 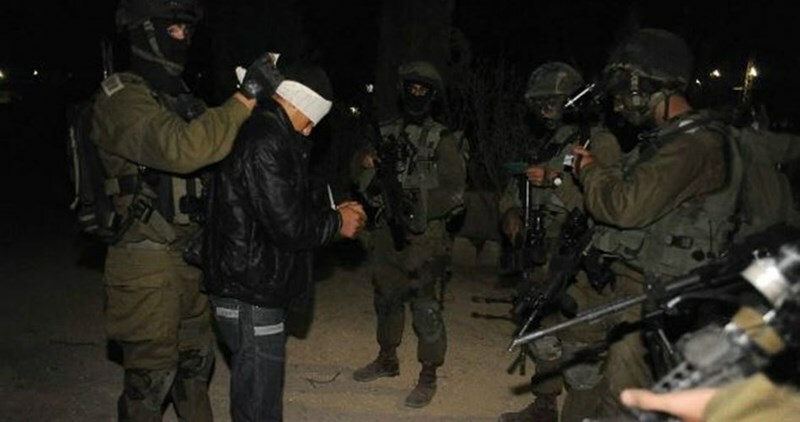 The Israeli Occupation Forces (IOF) arrested at dawn Friday ten Palestinians during large-scale raid and search campaign across the West Bank. Two ex-prisoners were among the reported detainees. An Israeli army statement issued this morning claimed that ten “wanted” Palestinians were arrested in the West Bank and taken for investigation. According to the statement, three detainees were rounded up in Jenin including an activist in Hamas Movement, while two others were detained in Nablus. Three more arrests were reported in Ramallah, while two citizens were arrested in Aroub refugee camp in al-Khalil. Two ex-prisoners, who served more than ten years in Israeli jails, were among the detainees after Israeli forces brutally stormed their houses in Nablus. 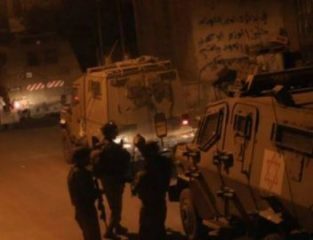 The PIC reporter said that nearly six Israeli military vehicles stormed Tiba village in Jenin and arrested a 24-year-old Palestinian after violently storming and searching his house. A number of make-shift checkpoints were overnight erected in the area, while Israeli forces carried out combing operations near Yabad town that lasted till morning hours. Along the same line, Israeli forces stormed and violently searched the house of Sheikh Radwan Abu Thabet, a leader in Hamas Movement, in Dajan town east of Nablus. The PIC reporter said that all mobile phones and lap tops in Abu Thabet's house were confiscated during the raid. Abu Thabet is father of two prisoners held in Israeli jails. The Israeli occupation forces (IOF) on Thursday evening kidnapped a Palestinian youth as he passed through the Zaatara military checkpoint, in southern Nablus city. Reporting from Nablus, a PIC news correspondent said the IOF stopped a vehicle driven by 23-year-old Ahmad Youssef Ahmad near the Zaatara checkpoint and detained the passengers for over an hour’s time before they arrested the driver. The IOF reportedly cracked down on the Palestinian passengers near the Zaatara checkpoint, denying them access out of and into the area.